Bottom Line: A smooth and easy, lager-like Irish ale that is super crushable. Irish ales are reddish in color and range from 4.5-6.5% in alcohol. They feature rich malt accents, a slightly sweet palate and low hop bitterness. In addition to Irish style stouts, these beers represent a large portion of the Irish market and are easily recognized by their appearance and high drinkability. Noteworthy examples of this style include: O’Hara’s Irish Style Red Ale, Samuel Adams Irish Red and Great Lakes Conway’s Irish Ale. 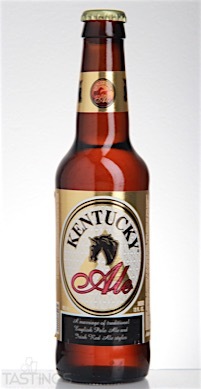 Alltech’s Lexington Brewing Co. Kentucky Irish Style Ale rating was calculated by tastings.com to be 89 points out of 100 on 3/23/2016. Please note that MSRP may have changed since the date of our review.